IS ABERDEEN BACK ON THE COMMERCIAL PROPERTY INVESTOR’S SHOPPING LIST? IS ABERDEEN (SCOTLAND, UK) BACK ON THE COMMERCIAL PROPERTY INVESTOR’S SHOPPING LIST? Mark Fleming, director in the investment team at Savills in Scotland. There has been a notable shift in investor sentiment towards Aberdeen’s commercial property market in recent months and 2018 could see investment volumes returning to, or indeed exceeding, the 10 year average. The Scottish city is near unique in its abundance of long-term, index linked, income producing assets, that were pre-let and built between 2012-14 to satisfy demand from occupiers who had little to choose from in terms of existing stock at a time when the oil and gas sector was booming. Global and domestic energy occupiers scrambled to have a foothold in the European energy market capital and at one point in 2013 there was only 10,000 sq ft (929 sq m) of Grade A office space available in Aberdeen to satisfy over one million sq ft (92,900 sq m) of active requirements. As such developers were able to command attractive lease terms (e.g. 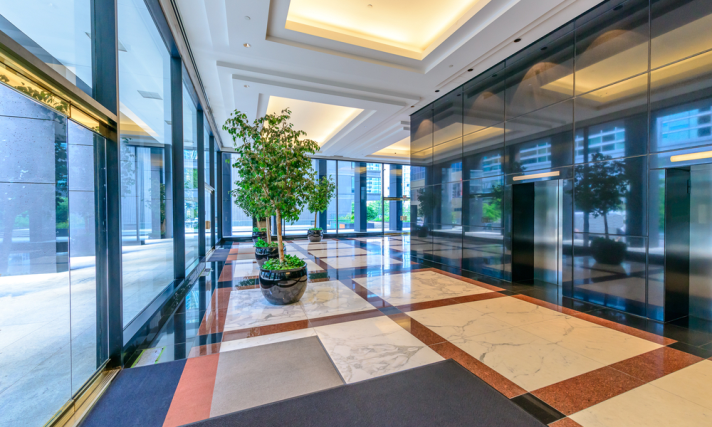 long leases with index linked reviews), from occupiers who needed to expand and move to better quality offices in order to retain and recruit the skilled workforce necessary to compete in the industry. The resulting strong rental growth in the face of this overwhelming demand pushed Grade A rents north of £30 sq ft, in some cases reflecting growth of 30 per cent over two years. All this activity and rental growth in turn attracted strong levels of investment activity, driving prime office yields down to 5.5/5.75 per cent and putting Aberdeen on a par with Edinburgh and Glasgow. This modest improvement in occupational markets is coinciding with a renewed interest in the city from investors, particularly from overseas, including Middle Eastern and US equity. The current activity is not necessarily just down to a recovery in the price of Brent Crude. Indeed, it is more likely to have been sparked by the devaluation of Sterling, coupled with the current soft pricing of investment stock in Aberdeen (following the Oil crash), making it significantly cheaper than elsewhere in the UK. However this recovery in Brent Crude and a perception that the worst is over, may continue to fuel this renewed Investment activity. Key deals illustrating this activity include the acquisitions of: Lloyd’s Register building on Prime Four Business Park for c. £40 million; TOTAL’s HQ at Westhill Business Park for £39.375 million; Statoil’s HQ office, also on Prime Four Business Park, for c. £13.75 million; and Ensco House, Gateway Business Park for c. £6.75 million. It is fair to say that the current interest is relatively risk adverse and far more focused on the cash-flow attributes of the deal including the quality of tenant(s), length of lease and indexed rent review mechanisms, rather than simply the intrinsic property characteristics (e.g. location, specification and rental growth prospects). Thus so long as the strength of the tenant is assured and debt is available, with these attractive yields on offer, the investor can be ‘guaranteed’ generous cash on cash returns far superior to those on offer elsewhere in the UK. The following graph illustrates this recovery against crude oil prices and we predict that in 2018, we may well see investment volumes returning to or indeed exceeding the 10 year average. Today we are operating in a significantly different market place to where we were three to four years ago, but Aberdeen is back on the shopping list for certain investors who are looking for secure income offering attractive yields and very healthy cash-on-cash returns.